We know that we can't legislate our way to fairer policing as it was born of immoral roots during the chattel slave trade. But we also know we must do all we can to protect the Black, Brown and Indigenous people who suffer at the hands of law enforcement daily. 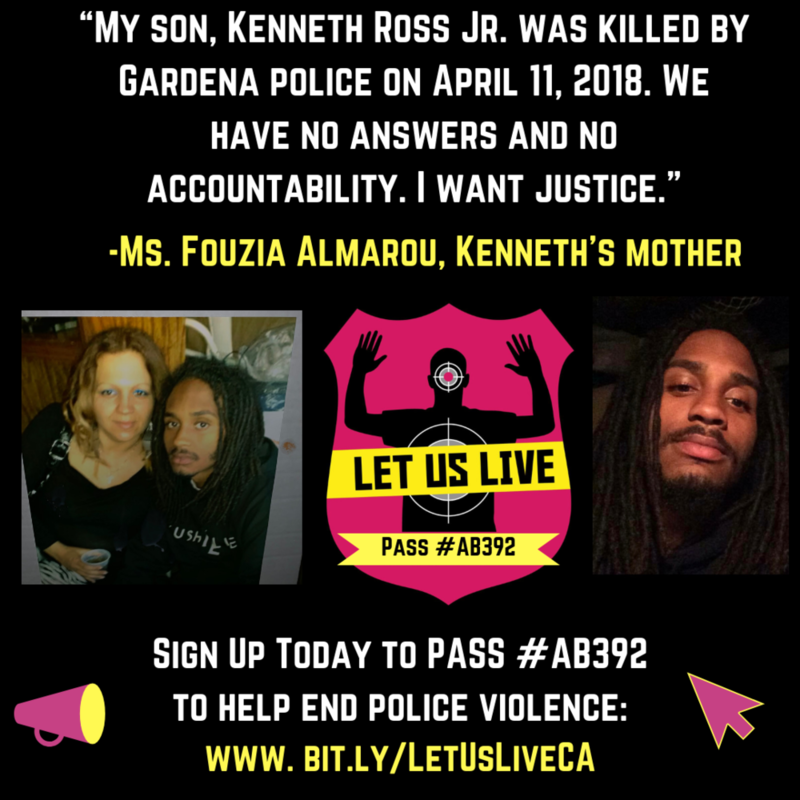 That's why we vehemently support AB 392, the California Act to Save Lives, which would require law enforcement to exhaust all other alternatives before using deadly force on us and our loved ones. 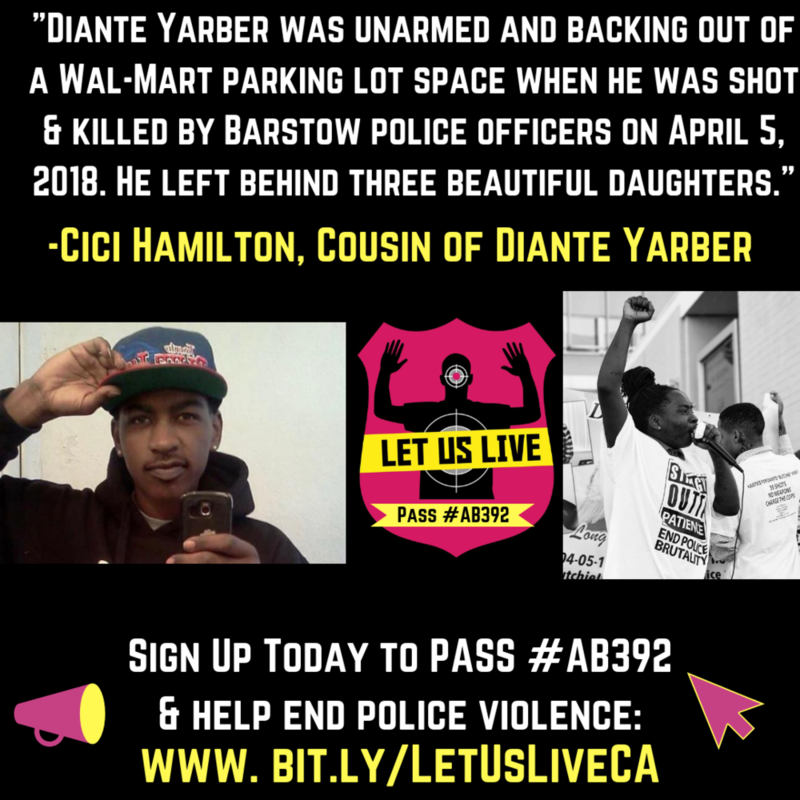 Meanwhile, the Police Unions have mobilized to introduce a garbage bill, SB 230, which does absolutely nothing to change the use of force standards in California. Help Us Pass the California Act to Save Lives! Send an individual letter of support for AB 392 to your legislators via the Alliance for Boys and Men of Color. Look up and call your state legislators to let them know you support AB 392 and oppose SB 230. Use this template to send an organizational letter of support for AB 392 as soon as possible, and organize all partner organizations to do the same! Share these graphics on social media featuring impacted families and their loved ones. 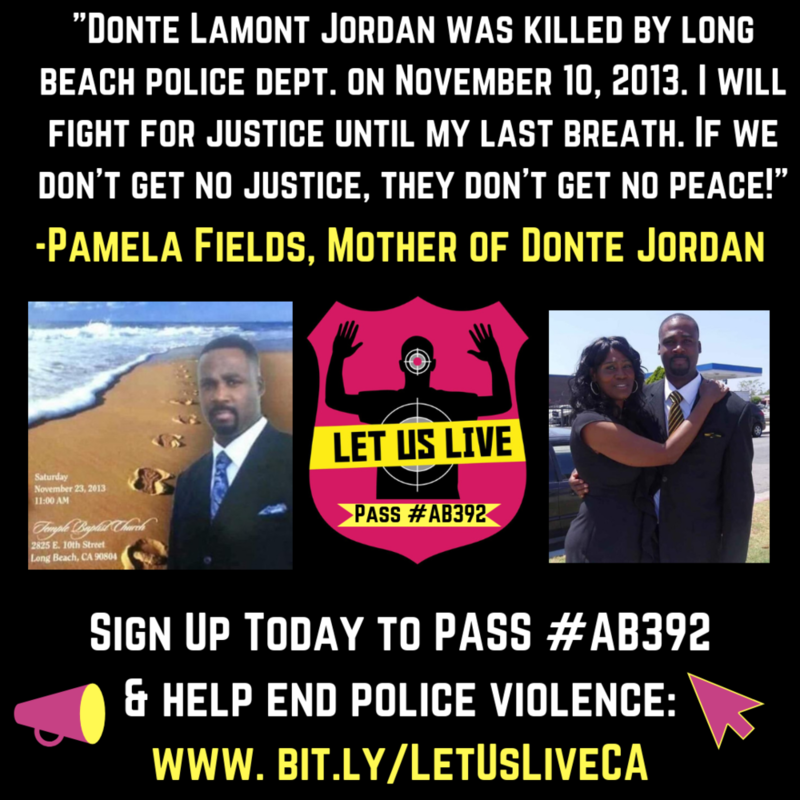 Tag #LetUsLive and #AB392.